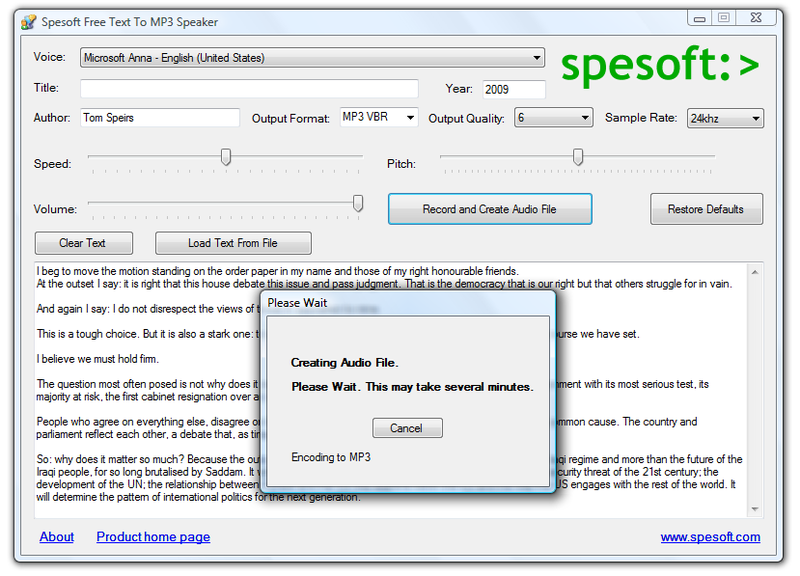 Here is one of the best tools that can help you with conversion of text files to mp3 – Spesoft Free Text To MP3 Speaker. It will convert your text files to MP3/OGG/WAV format, and it can convert the full text, or just a part of it in the easiest and fastest manner. After you set all these, you are done and the creation of audio file takes some time. Why i love this software is that you can set the voice according to your choice, a hard or light voice with their speed limitation etc. everything is perfectly available in it. You can download the Text to mp3 software from here. A good tool for those who don’t have someone who can speak in a good accent, and wants a certain text to be made into mp3. And with the adjustable speed and quality, it helps make things better. This tool seems really to be rocking it is very useful for the ppl who cant sit and read for hours they can simply listen ti it. this is a good tool for the one who want to send a voice messages for the members who use it.